This is by far one of the most debated topics between hobby, semi-pro, and professional photographers alike. I know some who’d rather give up shooting than switch from Canon to Nikon or visa versa. It’s silly for sure to say the least, but I’ve participated in the occasional ribbing of my Canon toting counterparts from time to time. For me it’s all in the name of fun. However, many others take this topic far too seriously! I’ve seen friendships end, relationships go astray, and clients lost. So who was right? Which one really is the king of the photography hill??? The answer to the question is simple…neither! I’m sure you’ve heard a million and one reasons why one easily dominates the other, some of which are very sound. I’m also sure you’ve seen your favorite photographer brandishing one brand or the other at some point in time and figured, “That MUST be the best brand, right?”. I mean why else would he or she use it? To be perfectly honest with you, I can’t say exactly why. I can say with 100% certainty that it wasn’t because that brand was better than the other though. Go to 500px.com and select any 10 of the fantastic photos on their main page. Thoroughly examine each photo, then list whether you believe it was taken with a Nikon or Canon. View the EXIF data of each photo and see if you were correct. What was your score? 10 of 10? (If you say yes I know your lying!!!) 5 of 10? 1 of 10? You probably chose your favorite 10 photos because those were they ones that you liked the most. 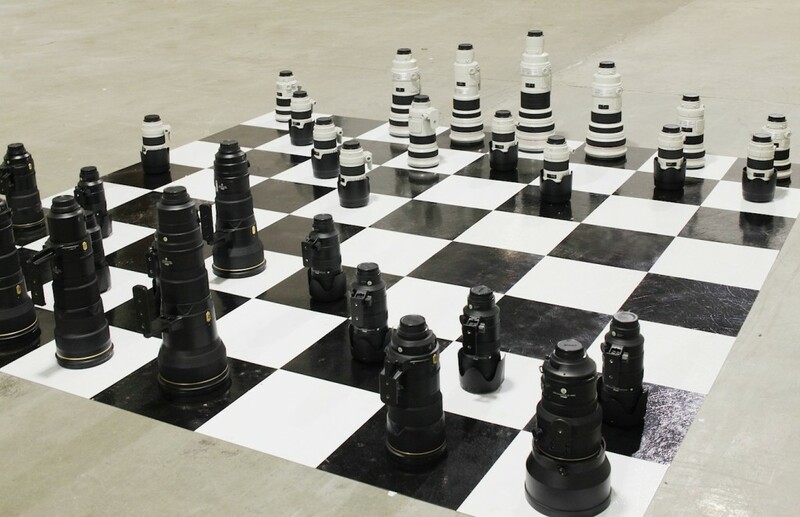 Some were taken with a Nikon, some were taken with a Canon, and others may have been taken by a variety of other brands. My point is that the camera itself had very little to do with why you chose those images. It was the skill of the photographer that drew you in. Maybe it was the use of depth of field or some other technique related to composition. Maybe you were overwhelmed with the colors. Maybe it was the simplicity of abundant white space married with a small interesting subject. Whatever the case, neither Nikon nor Canon had anything to do with why you liked those photos! So How Should I Choose? Grip – Which feels better in your hand, both while shooting and while carrying it around. This sounds trivial, but after a 3 or 4 hour shoot you’ll appreciate making the right decision! Ergonomics – Are important buttons easy to reach? Are there dedicated buttons for critical setting changes or do you have to go into the menus to change them? Menu System – When you do have to use the menus, how hard is it to find and change settings that are important to you? ISO – Is the camera capable of shooting at the minimum ISO required for the type of shooting you do? Can it produce clean images at the maximum ISO you’d like to use? Flash Sync – For you strobe users, what is the maximum flash sync speed of the camera? I shoot with a “NICANON”. Actually when I was on the fence about whether to buy my next film camera or go digital, Nikon had announced that they would never produce a full frame dSLR. As this was one of my requirements, they lost a customer.